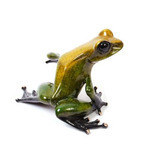 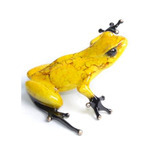 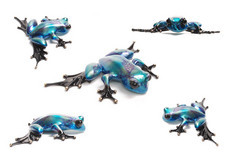 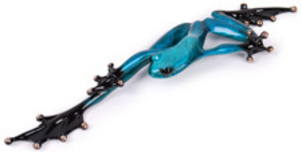 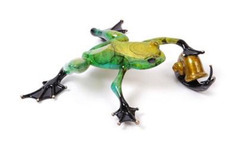 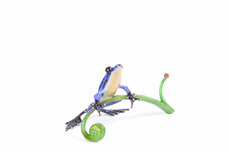 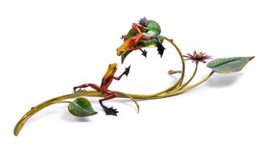 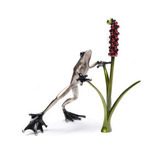 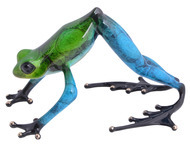 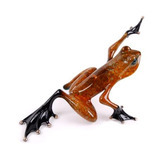 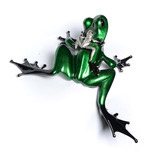 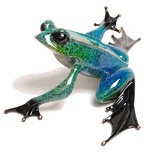 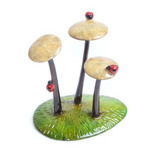 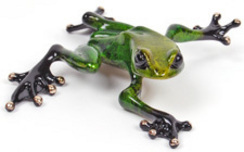 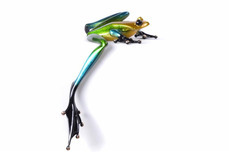 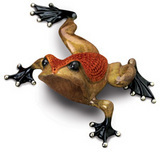 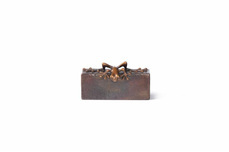 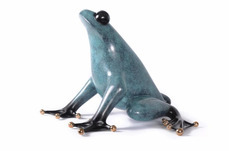 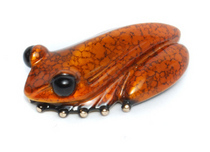 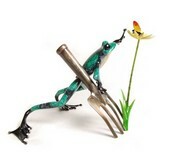 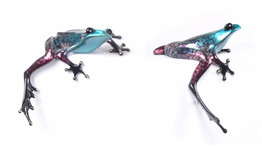 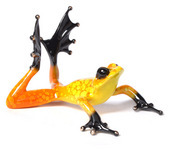 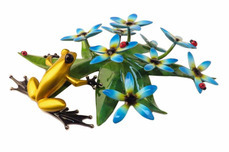 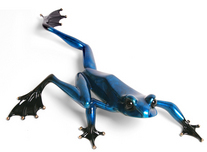 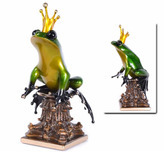 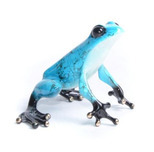 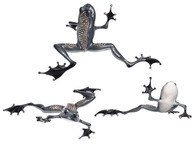 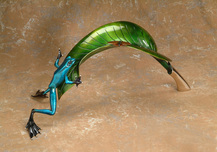 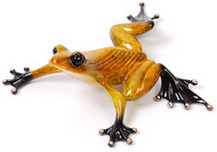 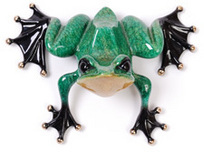 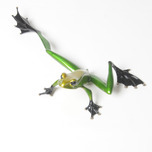 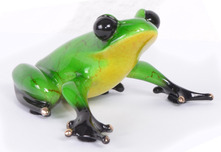 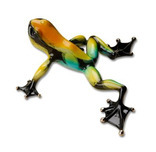 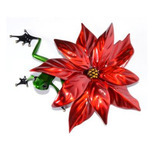 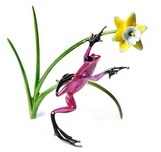 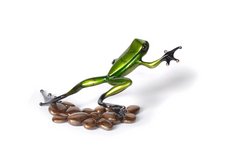 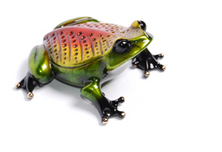 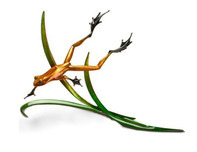 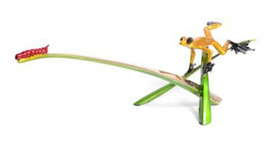 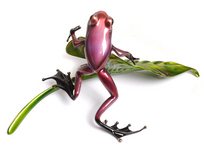 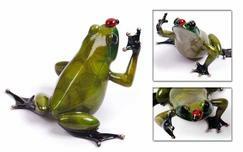 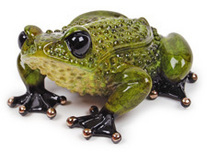 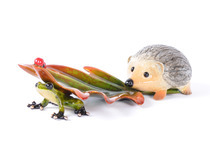 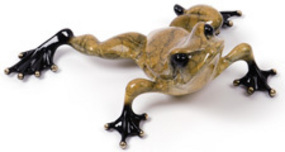 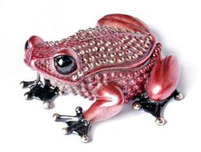 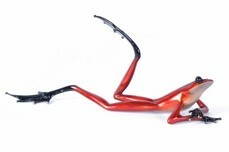 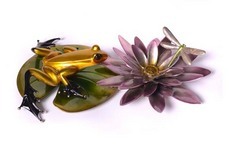 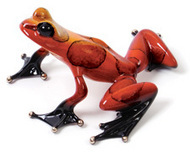 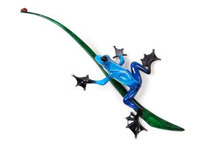 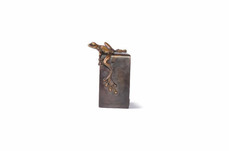 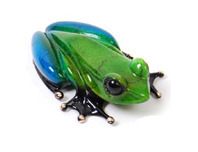 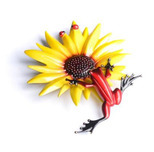 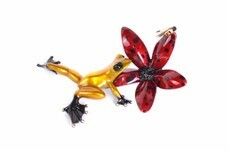 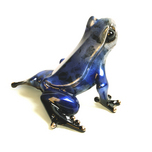 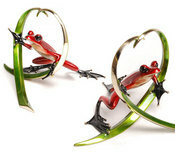 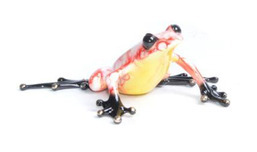 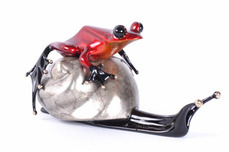 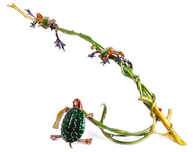 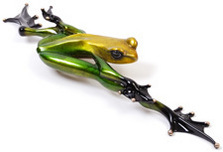 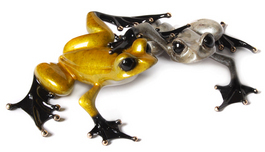 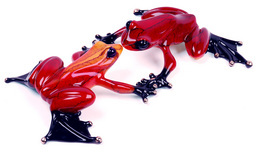 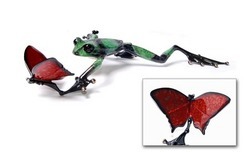 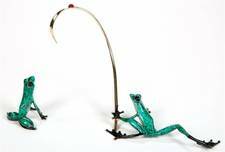 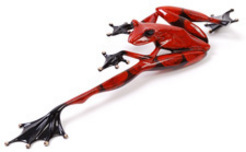 Tim Cotterill's bronze frog sculptures capture the whimsical character, the jewel-like quality, and the pure JOY of these beautiful little creatures. 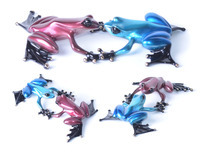 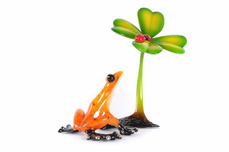 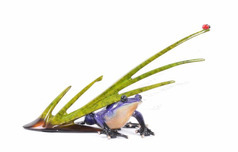 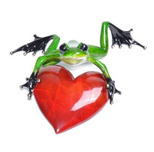 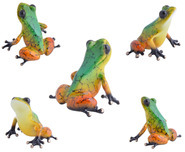 "Through the centuries and throughout the world, frogs have symbolized many things--good luck, royalty, fertility, magic potions, energy, charm. 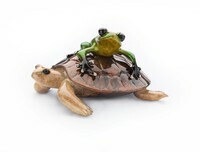 In today's fast world, life sometimes becomes complicated and stressful. 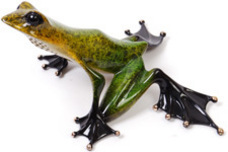 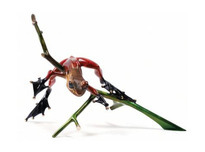 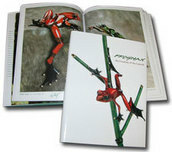 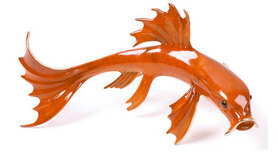 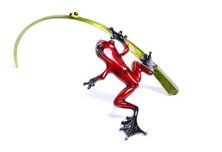 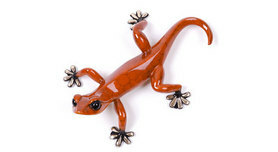 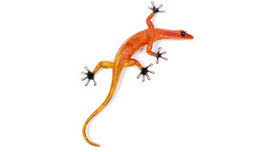 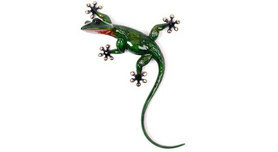 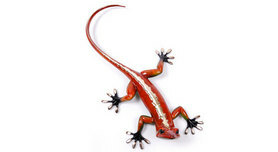 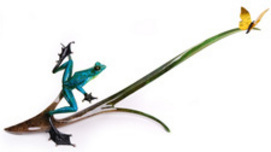 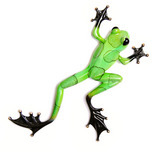 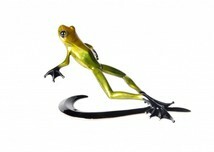 As you can see, my art is not," states the artist, also known as Frogman. 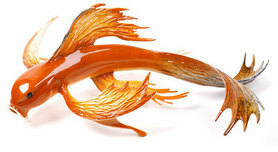 "It's elegant, stylish, whimsical, unique, and pure FUN! 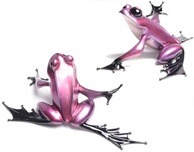 As children we were excited to see our first frogs. 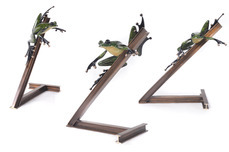 They made us laugh when they jumped our way! 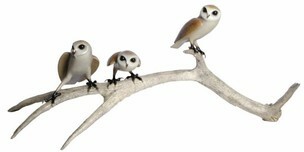 We were curious about the strange way they felt; the odd way they moved and their simple contented look. 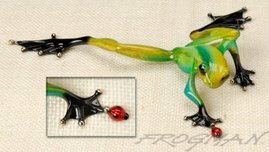 I used to watch frogs at my pond in England, noting how each one had its own color markings, character and even personality." 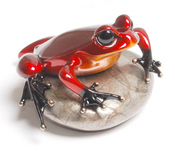 Tim Cotterill was born in Leicester, England, in 1950. 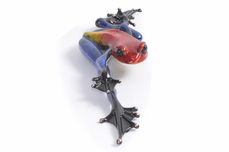 He left school at the age of fifteen to complete a six year engineering apprenticeship. 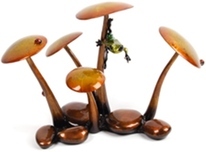 Intrigued with metalworking, he created radical wheeled vehicles, and metal sculptures of animals and birds, during the '70s and '80s. 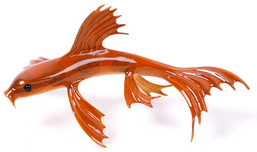 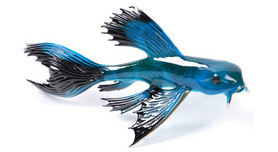 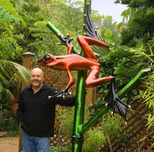 Tim Cotterill emigrated to California in 1990, where he has since devoted himself solely to the creation of his unique bronze sculptures. 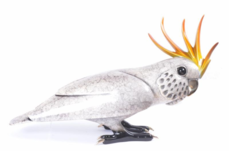 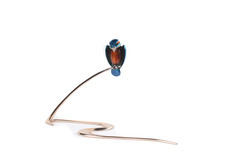 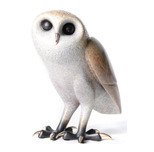 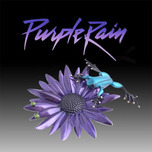 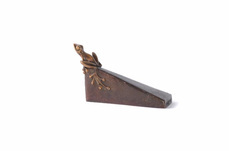 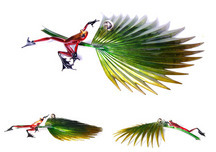 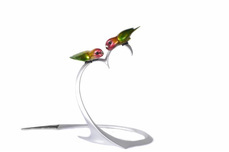 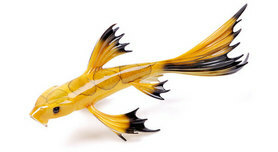 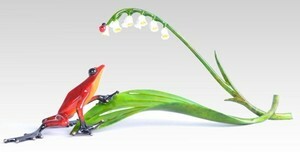 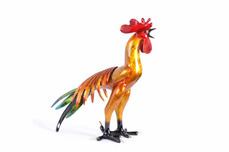 His original steel, bronze, and gold bird and animal sculptures are in art collections throughout the world.